On April 8, China officially declared the merger of the China Banking Regulatory Commission (CBRC) and the China Insurance Regulatory Commission (CIRC) to create the China Banking and Insurance Regulatory Commission (CBIRC). The new body, along with the People’s Bank of China (PBoC) – China’s central bank, and the China Securities Regulatory Commission (CSRC), will report to the Financial Stability and Development Committee (FSDC), a new agency set up under the State Council last November. Besides the new institutional arrangement, the central bank has been entrusted with drafting legislation for the banking and insurance sectors to improve cohesion in the regulatory system. The central bank and the FSDC will be responsible for financial prudential regulation at the macro-level, while the CBIRC is expected to focus on micro-level regulation. Observers say the overhaul is a move to head off increasing concern over what the authorities call “systemic financial risks.” Much of the risk comes from the emergence of a group of financial conglomerates, whose cross-sector business model has blurred the lines between banks, insurance companies and stock markets, posing a great challenge to China’s fragmented regulatory system. In a speech to the 2018 China Development Forum held in Beijing on March 25, Yi Gang, the new governor of the central bank, alleged that some “savagely growing” financial conglomerates had conducted a wide range of financial frauds that had resulted in “cross-institutional, cross-market, cross-sector” and “contagious” risks to the entire economy. The latest example is the Anbang Insurance Group. Developing from a small car insurance company in 2004 to become China’s top insurance company, with assets estimated at over 1.9 trillion yuan (US$301.1b), Anbang has been a big player in the global real estate market in recent years. Its most prominent purchase was a US$2 billion deal to buy New York’s landmark Waldorf Astoria hotel in 2015. But in March, authorities seized control of the company and charged its chairman Wu Xiaohui with embezzlement, illegal fund-raising and financial fraud. In early April, the authorities injected 60.8 billion (US$9.66b) into the debt-ridden company. For China’s financial regulators, the complex ownership structure of financial conglomerates like Anbang is a major challenge. A report by Caixin magazine published in 2017 revealed Anbang’s multilayered corporate structure and found the company was actually controlled by 86 individuals through 101 business entities. Contrary to its nominal registered capital of 61.9 billion yuan (US$9.8b) on paper, the Caixin report found that the 86 stakeholders had only invested 560 million yuan (US$89m) in the company. Compared to its peak assets of 1.9 trillion yuan (US$302b), the leverage level of the company was an astonishing 340,000 percent. According to Professor Wu Xiaoqiu, vice-director of the Renmin University of China, the boom in financial holding companies in past years has made lack of transparency a top issue for regulatory authorities, who have found it increasingly difficult to track down capital flows, especially cross-sector ones. For many experts, including Cao Xiao, an economist and assistant director of the Shanghai University of Finance and Economics, China’s regulatory authorities are also to blame for the excessive expansion of financial conglomerates. Cao told NewsChina that in the past years, local level authorities encouraged non-financial companies to enter finance, partly to help solve their financial difficulties. In some places, local governments even facilitated the establishment of financial holding companies that involved local businesses, which often led to slack implementation of financial regulations, making the process vulnerable to corruption and fraud. According to State Councilor Wang Yong, the new integrated regulatory system will strive to solve the problems of “blurred lines of responsibilities, overlapping supervision, and regulatory gaps” in the previous system. A major feature of the ongoing reform is that it extends beyond simply merging the banking and insurance watchdogs. The new body will transfer its policy-making functions, including prudential regulation and drafting of financial laws and regulations, to the People’s Bank of China. Combined with the establishment of the FSDC last November, which now shares its office with the central bank, many analysts see this reform as evidence China will adopt a “super central bank” model in its future financial regulation. Yi Xianrong, an economist and president of the Institute of Internet Finance at Qingdao University, told NewsChina that the source of China’s financial risk was not lax regulation, but monetary policy. 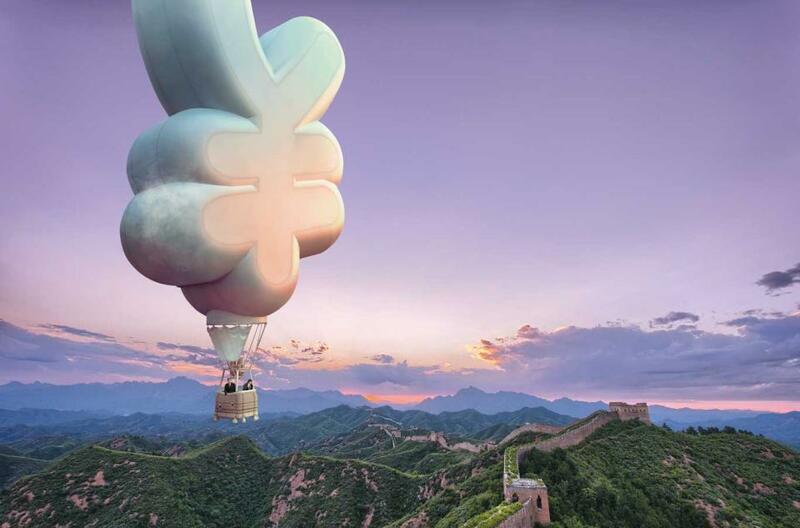 “China’s monetary supply (M2) expanded from 47 trillion yuan in 2008 to 168 trillion yuan in 2017, almost quadrupling in 10 years,” Yi said. Yi said that in past years, the central leadership encouraged financial innovation, but since 2017, “preventing systematic financial risk” has become the top priority. But strengthening regulation alone will not achieve the goal, Yi said – the key lies in changing the fundamental approach to monetary policy. Yi’s argument was backed by other economists, including Ren Zeping, chief economist for China Evergrande Group. In an article entitled “The New Mission of the Future ‘Super Central Bank,’” Ren says that China’s ongoing new regulatory reform is a response to two challenges: a regulatory system based on sectors that are unsuited to increasingly more integrated financial operations, and a monetary policy that focuses on inflation but neglects asset prices. Ren said that like many other countries, China is challenged by the fact that monetary expansion has not driven up the inflation rate, but has led to an asset price bubble and financial instability, phenomena that undermine the theoretical foundations of traditional monetary policy. According to Ren, in an increasingly liberalized financial sector, the rise of off-the-balance-sheets operations and shadow banking (in China’s case, the rise of financial conglomerates), is to blame for excessive money creation because new monetary liquidity does not flow into the real economy, but is absorbed by asset markets for real estate, equity or debt. This pushes up debt and leads to a leverage rate, issues that pose considerable financial risks to China’s economy. But according to Ren and others, there are still a number of challenges. Cao Xiao, a professor of banking at the Shanghai University of Finance and Economics, told NewsChina that streamlining and separating the specific responsibilities, functions and powers between the central bank, the CBIRC and the FSDC will be a considerable challenge. First, new central bank governor Yi Gang and Guo Shuqing, the newly appointed Party secretary of the central bank and the head of the CBIRC, appear to have the same administrative rank within the central bank. In most of China’s government agencies, Party secretaries have a higher rank, but according to the central bank’s website, Yi appears to be listed ahead of Guo, usually a sign that Yi has a higher rank. It remains unclear who can overrule whom in the case of a disagreement. At the institutional level, the responsibilities of the People’s Bank of China, the central bank and the Financial Stability and Development Committee, which now share the same office, are yet to be clarified. Beyond the institutional level, both Cao and Ren warn that the hardest part of the regulatory reform will be finding a balance between achieving financial stability and maintaining financial effectiveness. As China aspires to upgrade its economy,increasing the efficiency and effectiveness of its financial markets remains a must for its financial regulation. “Eventually, the real challenge for China’s regulatory reform will be finding the equilibrium point of risk and innovation,” said Cao.